Looks as good as it sounds. 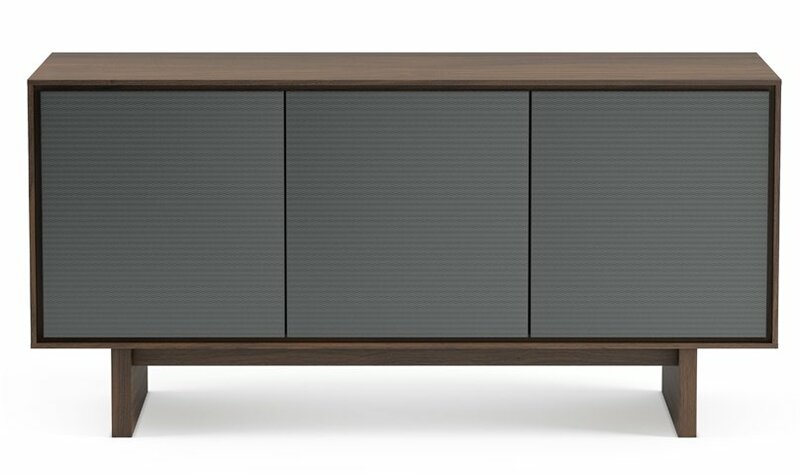 Octave hits a high note in media cabinet design. Unique perforated steel doors let remote signals in, while allowing sound to disperse clearly, providing complete acoustic transparency. Mighty Performer. Don’t let the size fool you. 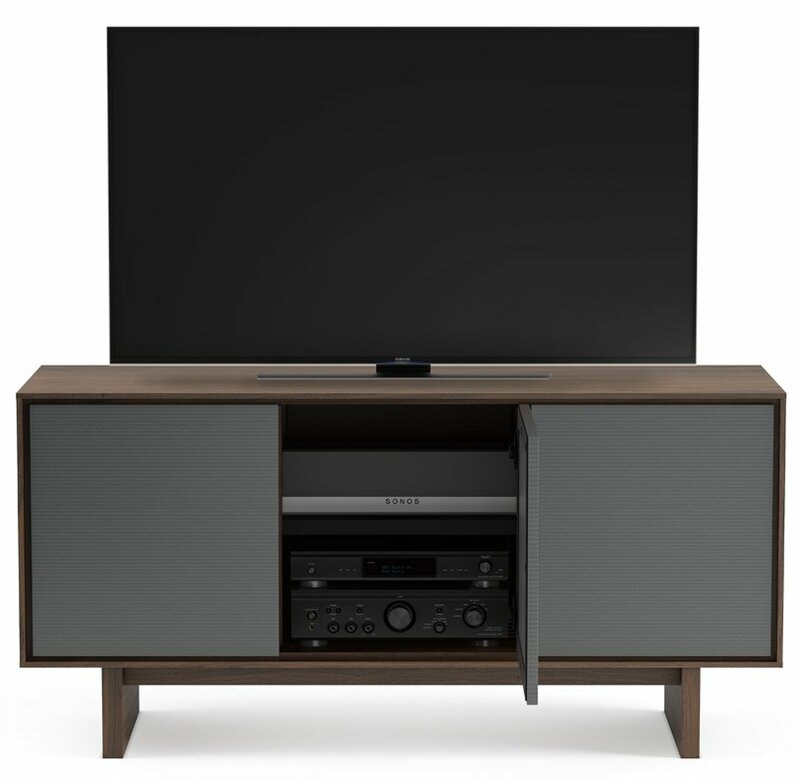 The triple-width 8377 comes fully loaded with a host of innovative features, and can display up to a 70″ TV. Always More Than Meets the Eye. 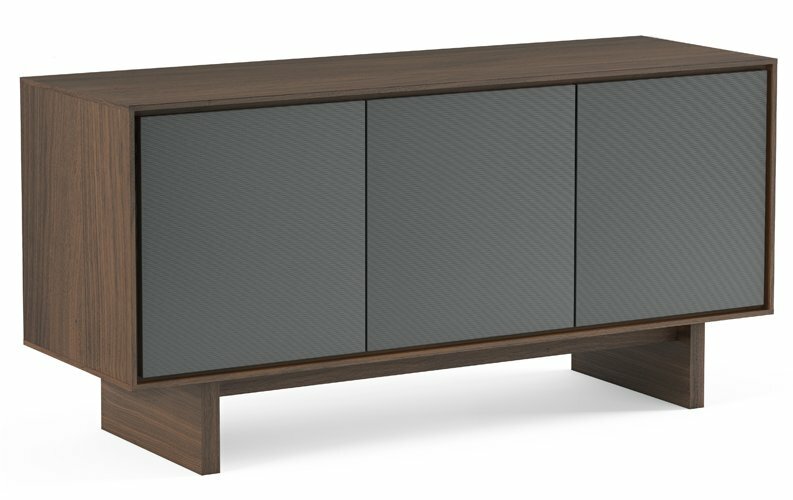 Behind closed doors, this fully-featured media cabinet includes adjustable shelves, hidden wheels and removable back panels for easy access to components, cable management, and flow through ventilation to keep things cool. 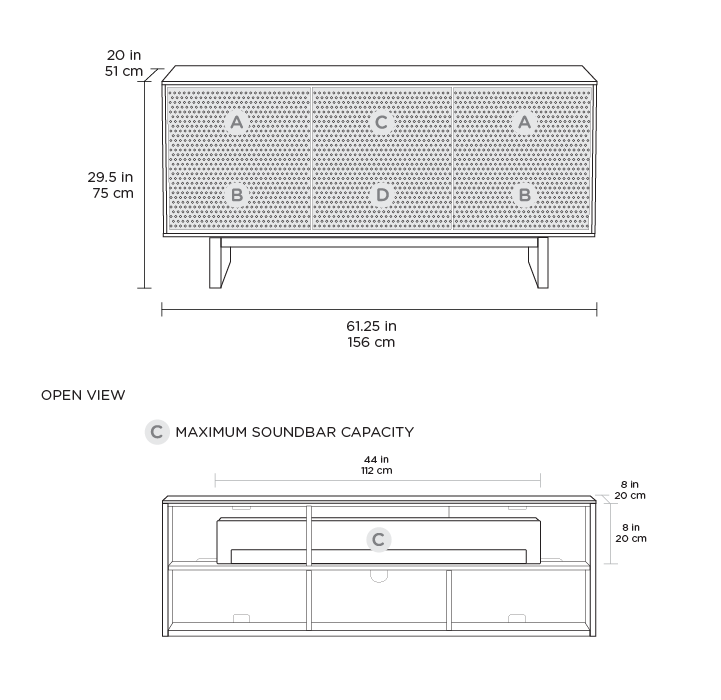 Open top compartment can accommodate a soundbar speaker or the center glass shelf can be removed to create a large opening for tall center channel speakers. Perforated doors allow a speaker's sound or remote's signal to pass through unobstructed. Please note: Screens larger than 60" will overhang the stand at the sides, this is perfectly safe & normal. All measurements supplied are for overall sizes. Please check your product or contact us if unsure.